Hobbies that make money can give an individual the best of both worlds since hobbies are usually enjoyable. Many talented people who engage in hobbies for relaxation or just for fun could earn enough to supplement their regular income. A hobby can also turn into a small business, resulting in jobs for others when a good business plan is put in place. 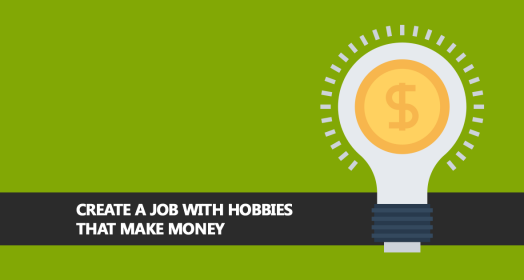 What are some hobbies that can make money? The following hobbies can be used to bring in extra dollars. There will always be a need for people who are good at arranging flowers. If you have ordered a flower for a special occasion, you know how expensive even a small plant or silk arrangement can be. Flowers are still popular for weddings and other formal occasions and in some cases can be one of the most expensive items. If you have a talent for creating floral arrangements, you can make money. If you can create the arrangements from your home, the low-overhead means that you can offer your services at a lower cost than traditional florists and still make a good living. Additionally, if you set up a website, customers will find you since the Internet is where many people go these days when comparing prices for services like floral arranging. Sewing is becoming a lost art but the need for individuals who can construct custom garments, alter or repair clothing has never been greater. Sewing is another of the hobbies that make money. If you talk to almost anyone who does clothing alternations, you will find them to be very busy. Weddings create a lot of business for talented people who sew because many brides want one-of-a-kind dress designs. People who lose weight are sometimes able to wear some of their former clothes if they can get them altered to fit. This is especially true for garments like winter coats, which tend to be expensive. Like floral arranging, sewing can be a home-based job and can be marketed using a website.